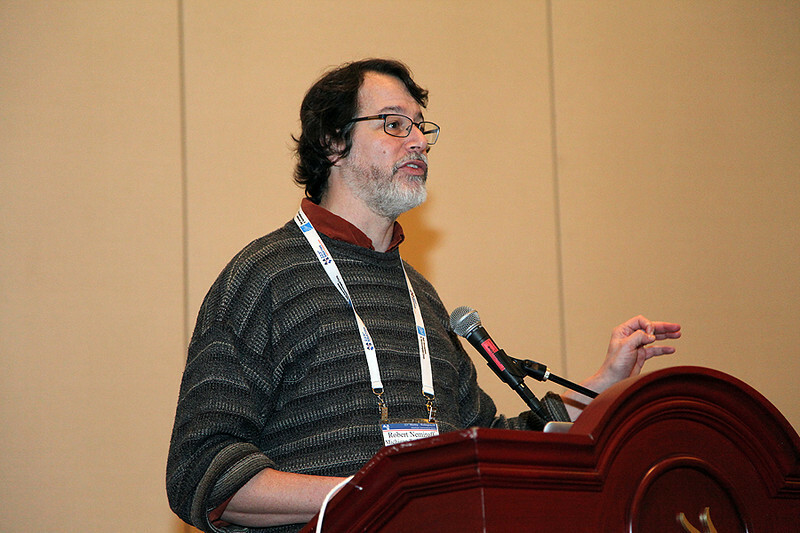 Steve Maran, Special Advisor to the AAS Executive Officer, organized a half dozen half-hour talks aimed at amateur astronomers. Few amateur astronomers registered for the meeting, but the "amateur" talks were well attended anyway, mostly by undergraduates who appreciated hearing about cutting-edge research in jargon-free language. On Monday morning, Robert J. Nemiroff (Michigan Technological University) presented "Gravitational Lensing Boot Camp" to amateur astronomers, undergraduates, and other interested attendees. AAS photo © 2014 Joson Images.